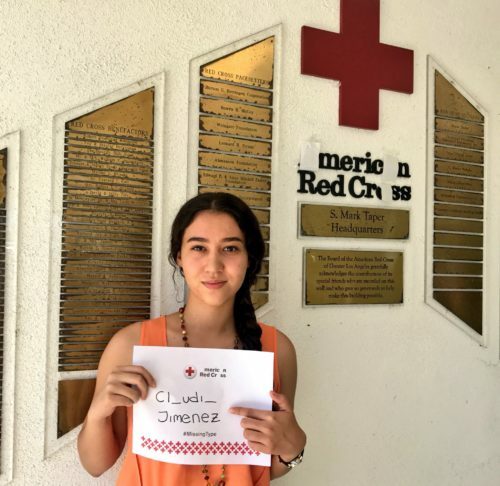 Los Angeles Region Intern, Claudia Jimenez has removed the A’s B’s and O’s from her name, as part of the Red Cross #MissingType Campaign. who have not given in years, to donate and help ensure lifesaving blood products are available for patients in need. The concept behind the campaign is for donors to fill in the missing type – that no matter what blood type you are, your blood is needed to help save lives. Many celebrities and national brands have joined the movement, removing the A’s, B’s and O’s from their name or company logo – both on social media and in the physical world. 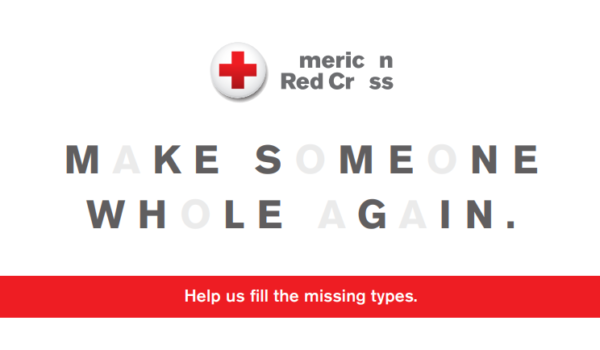 The Red Cross Missing Type campaign will run through Labor Day, although its launch has been in accordance with World Blood Donor Day. The U.N.’s World Health Organization (WHO) established World Blood Donor Day in 2004 to raise awareness about the growing need for blood donations and the various uses of blood. World Blood Donor Day falls on June 14, which fittingly marks the birth date of Karl Landsteiner, the Austrian immunologist who identified the ABO blood group system in use today. Landsteiner’s discovery of the Rhesus (Rh) factor with fellow immunogeneticist, Alexander Weiner, made learning about the conditions for safe blood transfusion possible. Every year, the public health campaign takes on a particular theme. This year’s slogan for World Blood Donor Day is “Be there for someone else. Give blood. Share life.” According to the Pan American Health Organization, this year’s campaign will encourage individuals to understand that donating blood is an act of altruism and an expression of solidarity with fellow community members. Donating blood also signals an individual’s civic engagement and a connection to the greater global community, depending on the nature of the need/demand. Patients like Tymia McCullough, of Georgetown, SC, depend on the generous donations of blood donors to help treat her sickle cell disease. Last year, when she arrived at the hospital in need of a transfusion, the blood type she needed was not available. It wasn’t until eight hours later, when a nurse came running through the door with the lifesaving blood product in her blood type, that Tymia was finally in the clear. Give blood! Schedule an appointment this summer by visiting redcrossblood.org. 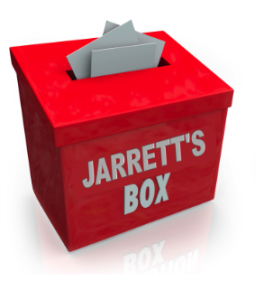 Recruit new donors! Encourage a friend or family member to roll up a sleeve, too. Spread the word! Remove the letters A, B and O from your name, take a selfie and share using the hashtag #MissingType on social media.